The Hong Kong Stock Exchange (“HKEx”) has circulated a research paper on the Singapore Dimension of HKEx’s markets which it published in October 2005. The full text of the paper can be viewed in the “Research Centre” section of HKEx’s website at www.hkex.com.hk. The following is intended as a summary only of the contents of the paper. 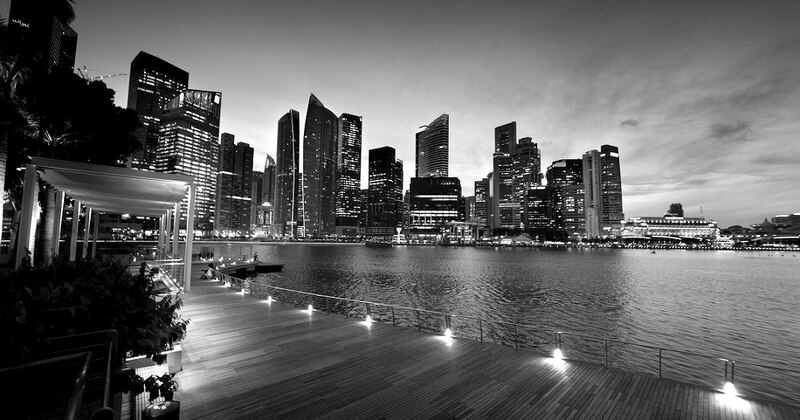 Singapore has a highly developed and successful free market economy and has an active stock market. It does not generally restrict foreign participation in its economy or foreign investment by domestic investors. It is currently one of the major fund management centers in Asia. Singapore accounts for the largest percentage of Asian trading in Hong Kong’s securities and derivatives markets, although its contribution is still small compared with the US and Europe. The paper examines Singapore’s financial activities in Hong Kong. Singapore concentrates on capital- and skill-intensive businesses in addition to the service sectors. Singapore’s economy is greatly affected by the external environment and it suffered in the financial crisis of 1997-98. However, it made a dramatic recovery the following year and the GDP growth rate surpassed its pre-crisis figure by the year 2000, led by the electronics and chemicals industries. Stock market: Singapore made the largest contribution in Asia to HKEx’s cash market turnover, rising from $66 billion in 2003 to $116 billion in 2004. Derivatives market: Singapore made an even bigger contribution to the derivatives market: 20% of overseas investor trading in HKEx derivatives came from Singapore, only 6% behind the US and the UK. Issuer dimension: Although 12 companies with a primary listing on HKEx were also listed on SGX as of August 2005, there were no Singapore-incorporated companies listed on HKEx. Exchange Participant dimension: There are 7 Singaporean-controlled trading Stock Exchange Participants, contributing around 4% to the total securities market turnover value in 2003/04. Most of the Singaporean investor trading came through non-Singaporean brokers. The fifth largest target of Singapore’s outward direct investment was Hong Kong, where a cumulative total of US$7 billion was invested in 2003, mainly in financial services (mainly in the form of investments in holding companies). However, the number of Hong Kong authorised institutions with a Singaporean presence dropped from seven or more from 1995 to 2002, to just four in 2003 and 2004. Singapore is the leading Asian contributor of overseas investor trading in HKEx’s securities and derivatives markets. Its pragmatic approach to economic development, free market and low restrictions on capital flow, have enabled it to attract many international institutional investors to base in. It is believed that many Singaporean orders to HKEx’s markets originate from these international investors. Hong Kong is also a major destination for Singapore’s outward direct investment in financial services, although the number of Singaporean exchange participants and authorised institutions in the banking sector is small. The above constitutes a summary only of the contents of HKEx’s paper “The Singapore Dimension of HKEx’s Markets”, the full text of which can be viewed in the “Research Centre” section of HKEx’s website at www.hkex.com.hk.